This is pretty cool. The guy is actually walking backwards. A dozen or so Japanese tourists a year have to be repatriated from the French capital, after falling prey to what’s become known as “Paris syndrome”. That is what some polite Japanese tourists suffer when they discover that Parisians can be rude or the city does not meet their expectations. Genetic mutations have been found in three generations of butterflies living near Japan’s crippled Fukushima nuclear plant. The gruesome discovery has led scientists to fear that the leaking radiation could affect other species. The study was published by Scientific Reports. Researches said that around 12 per cent of pale grass blue butterflies that had been exposed as larvae to nuclear fallout developed abnormalities, including broken or wrinkled wings, changes in wing size, color pattern changes, and wider-than-normal variations in numbers of spots on the butterflies. Though the insects were mated in a lab well outside the fallout zone, about 18 per cent of their offspring displayed similar problems, said Joji Otaki, an associate professor at Ryukyu University in Okinawa, in southwestern Japan. 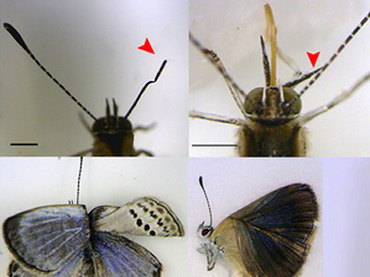 That figure rose to 34 per cent in the third generation of butterflies – even though one parent from each coupling was from a group unaffected by radiation. Researchers also collected another 240 butterflies in Fukushima last September, six months after the disaster. Abnormalities were recorded in 52 per cent of that group’s offspring – “a dominantly high ratio,” Otaki told AFP. 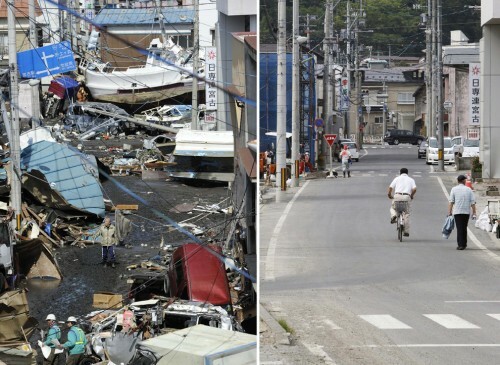 Big Picture has a few images of a stunning progress achieved by Japanese people just 3 month after the disaster. 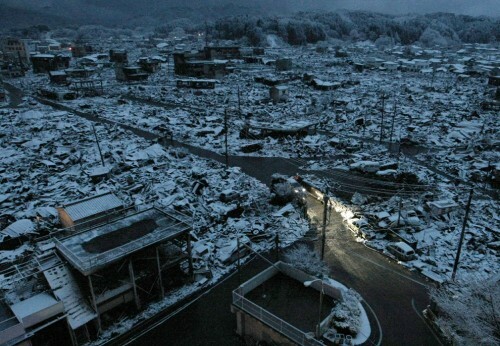 It’s just incredible how tragedy is heaping upon tragedy – the earthquake, then tsunami, then reactor problems, volcano – and now frigid weather. 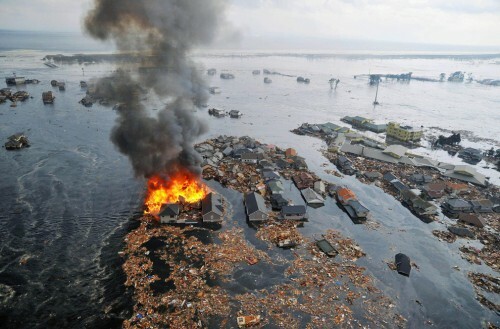 Love and strength to the people of Japan – your grace through fire is an inspiration to all. I’ve only seen scenes like this one in the movies about World War II and in post-apocalyptic video games. This one is not a result of someone’s imagination. It is actually how things are now, today, a mere 10,000 km from me. Unbelievable. 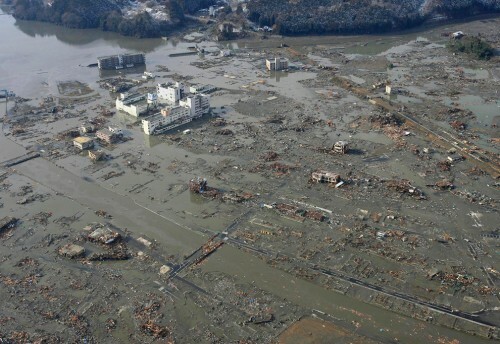 Big Picture has a collection of aftermath images for the earthquakes and tsunami in Japan. Horrifying, mind blowing, unbelievable images. We’ve all heard the words “earthquake” and “tsunami” before. 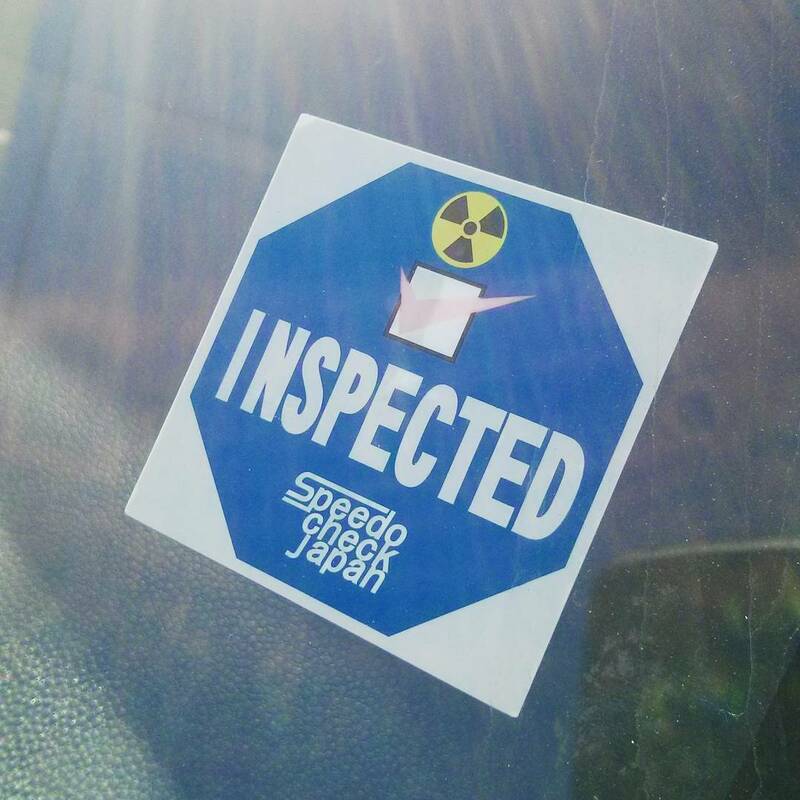 We are all aware that these phenomena are not a stranger to Japan. We all secretly hope that Japanese know how to handle such events. And they in fact do a really good job. But what happened today was different. It was on the Grand Scale. According to this Wikipedia page, today’s earthquake measured 8.9 on Richter scale, which earns it a 7th place in the list of largest earthquakes worldwide. Such powers of nature are difficult, almost impossible to imagine. And of course the effects of these are profound – people dead and hurt, houses and other properties destroyed, lives dramatically changed, and so on and so forth. All that will not go away tomorrow. On the contrary, this will from now on be a part of Japanese history. And world history. Since it will affect more than just Japan (look at what happened to financial markets today, for example), and it will take more than just Japan to recover from this event. UAZ is selling cars in Japan. Luckily I can save this in multiple categories, otherwise it would have gone into Humor without any hesitation. You see, UAZ is one of those monster Soviet factories producing cars. Actually, cars is too much of a word for those products. Cans is more like it. After some thinking I can find only one reason for selling those cans in Japan – export/import of metals. Last time I saw one, UAZ looked like it was done from the military tank armor. There’s surely some value in that.